You are here: Home > News > How To Make Carbon Electrodes? Carbon electrode is an electrode made up of element carbon. Carbon electrode has the advantages of excellent electrical and thermal conductivity, heat resistance, chemical resistance, high mechanical strength and easy to process and shape. It is widely used in metallurgy, chemical and electrochemical industries, such as electrode for arc furnace, electrode for electrolysis, electrode for battery, etc. According to different raw materials and preparation methods, it can be divided into four types: natural graphite electrode, artificial graphite electrode, carbon electrode and special carbon electrode. 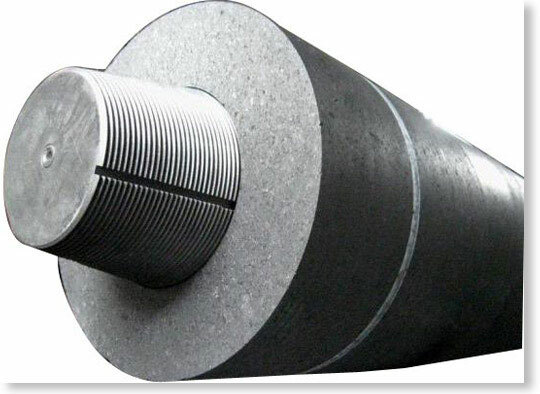 Natural graphite electrode is made of natural graphite and adhesive by mixing, molding and firing, mainly used for various electric arc furnace electrodes.Artificial graphite electrode is a raw materials (petroleum coke and pitch coke, anthracite coal, carbon black, etc.) and the adhesive (coal tar, coal tar, asphalt, synthetic resin) and additive mix molding, carbonization under 1000 ~ 1400 ℃, first and then under 2000 ~ 2500 ℃ and graphitization treatment can be used for all kinds of alkali, alkaline earth metal such as electrolytic electrode.Carbon electrode is produced by carbonization of asphalt coke, petroleum coke and adhesive, with low degree of graphitization and less conductivity than artificial graphite.Special carbon electrode refers to the electrode made of special carbon material, which is mainly porous carbon electrode with carbon fiber as the matrix.